The U.S. government has released its latest recommendations on how physically active we should be to stay healthy, and do we detect a hint of desperation in their tone? The guidelines, as before, call for adults to aim for 150 minutes a week of moderate aerobic exercise, or 75 minutes a week of vigorous exercise, to get the most optimal benefits of physical activity. But they also make clear that any physical activity, no matter how short or relatively mild, is better than nothing at all. Though public health recommendations for how active we should be have existed in some form or another for decades, it wasn’t until 2008 that the U.S. government—via the Department of Health and Human Services (HHS)—established its own set of standards: The Physical Activity Guidelines for Americans. The second edition of these guidelines, making for the first update in a decade, was officially released Monday. The guidelines, based on new research accumulated since 2008, now include recommendations for preschool children between the ages of three and five years. For these kids, it’s recommended that they stay “physically active throughout the day to enhance growth and development,” while caregivers should make sure to encourage lots of bouncing around in their playtime. There are also updates to the recommendations made for every other age group, as well as for adults with chronic health conditions or disabilities. Little has changed in the amount of optimal exercise recommended. Kids between the age of 6 to 17 should get about an hour of physical activity a day, and should do activities that build up their muscles, like dancing, sit-ups and push-ups, and lifting weights, at least three days a week. Adults over 18 should get some combination of 150 minutes a week of moderate aerobic exercise (such as a brisk walk that gets your heart pumping a little or dancing) and/or 75 minutes a week of vigorous exercise (more of a steady jog). And the best benefits would be seen in adults who get double or more that exercise. What makes the guidelines different this time around, though, is the emphasis on convincing people that any extra exertion is worth the effort, even if they don’t meet the above numbers. There is no longer a mandate that people have to be active for at least 10 minutes at a time for it to count toward their weekly exercise. They also state, as recent research has suggested, that people can benefit from any level of exercise they are able to accomplish, no matter how small. 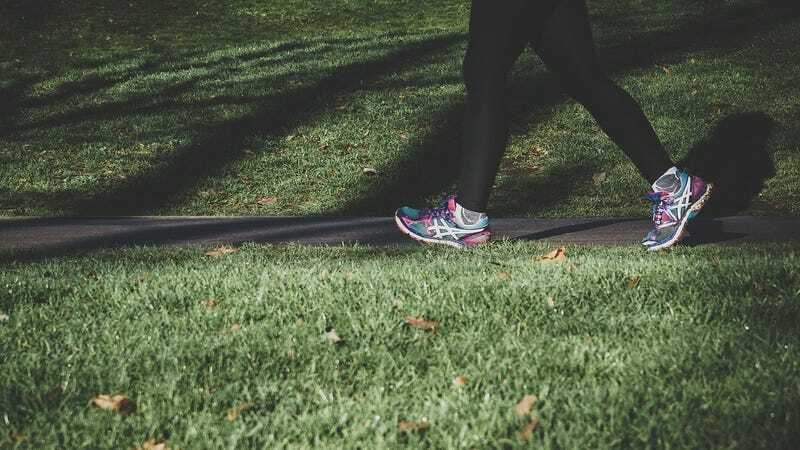 “The new guidelines demonstrate that, based on the best science, everyone can dramatically improve their health just by moving—anytime, anywhere, and by any means that gets you active,” Brett Giroir, assistant secretary for health at the HHS, said in a statement. In the short term, research has shown that exercise can help people sleep better, improve their mood, and help them better manage chronic conditions like type 2 diabetes or osteoarthritis (people with chronic conditions should talk with their doctor before developing an exercise regimen, though). Longer term, exercise might help prevent age-related problems like cancer, heart disease, weight gain, and cognitive loss. Exercise also seems to reverse at least some of the ill effects of sitting all day, which is becoming one of the major drivers of chronic disease and shorter, unhealthier lives. For the cynics in the crowd, though, the more lenient guidelines seem to also reflect just how few Americans are physically active. According to the HHS, only around 26 percent of men, 19 percent of women, and 20 percent of teens meet the current guidelines. And annually, around 10 percent of premature deaths and $117 billion in healthcare costs might be attributable to people not getting sufficient exercise.